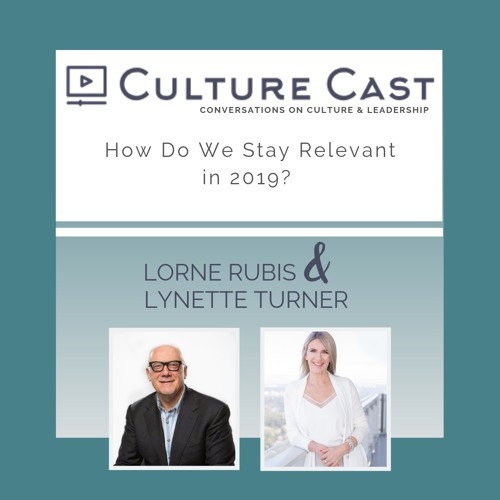 In season 3, episode 10, Lorne and Lynette discuss staying relevant in today’s rapidly changing professional landscapes, and finding new, creative ways to reinvent ourselves. From attending conferences to utilizing free online resources, everyone is armed with the ability to watch, read, listen to and intentionally consume content that can keep us skilled. Here are some ideas how we can plan and learn how to put more intention into healthy learning. Oh, and Lorne somehow segways into his take on vaping in airplane bathrooms. All that and more on the latest episode of Culture Cast. Users who like How Do We Stay Relevant in 2019? Users who reposted How Do We Stay Relevant in 2019? Playlists containing How Do We Stay Relevant in 2019? More tracks like How Do We Stay Relevant in 2019?